Taking your Jeep out on the trails at night can be just as enjoyable as in the day time, one problem though is whether or not you have enough light to see the trails and obstacles in your way. 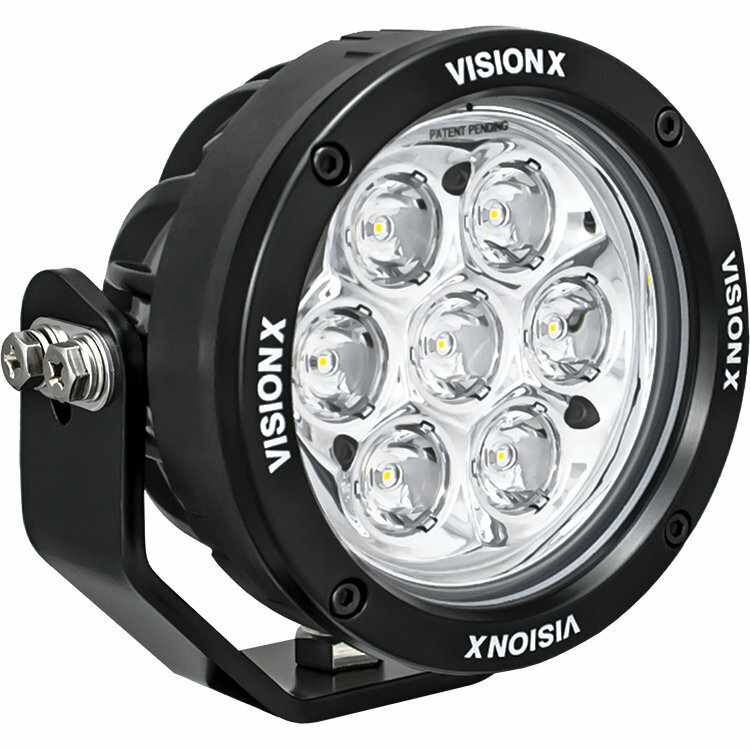 Vision X brings you their 4.7″ CG2 Multi-LED Light Cannon to bring you daylight on the darkest of nights. Don't let the size of these lights fool you as they give you a powerful broad driving beam pattern creating amazing light coverage. Available as a kit with wiring harness and switch or sold individually. 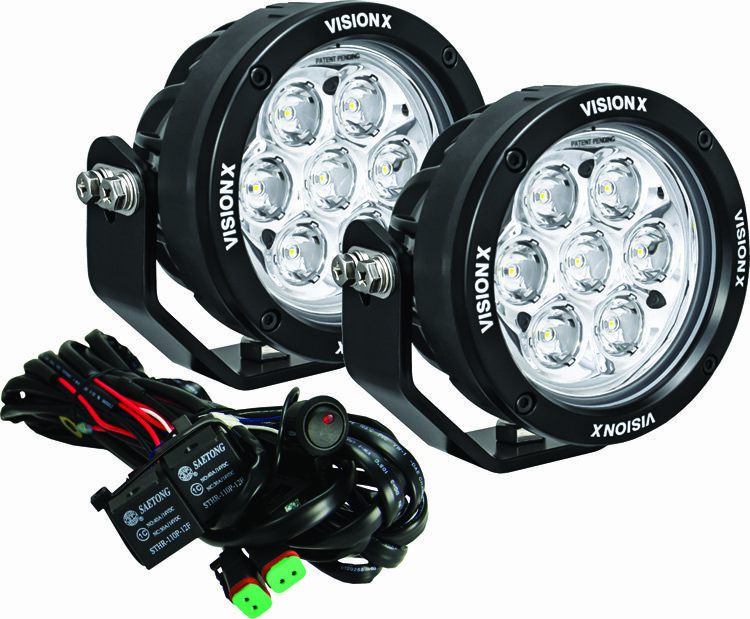 Features: Vision X has packed a whole lot into these little lights. 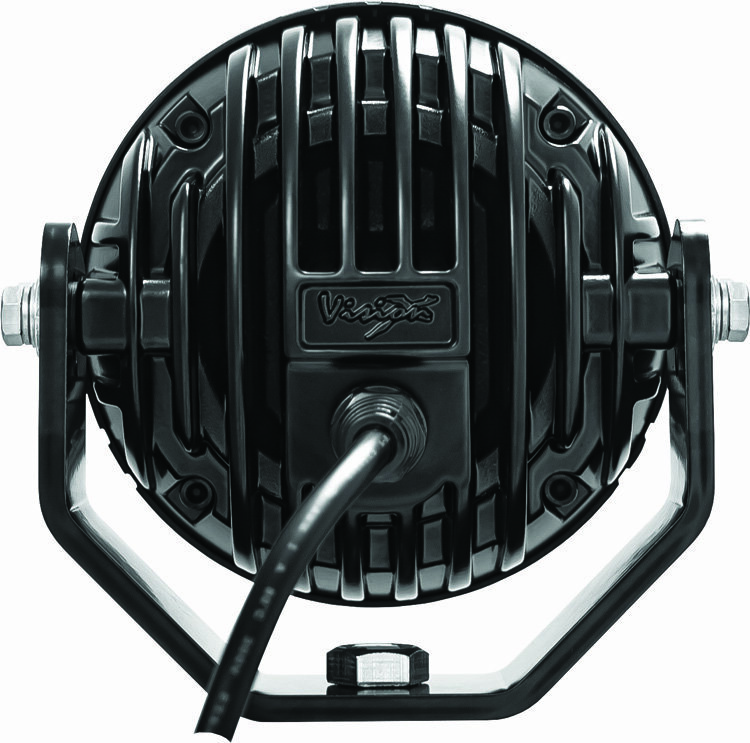 First off is the aluminum heat sink design allows maximum light output during long use. Using advanced Iris Reflector & optic Technology gives you superior beam quality making it perfect for off-road use. 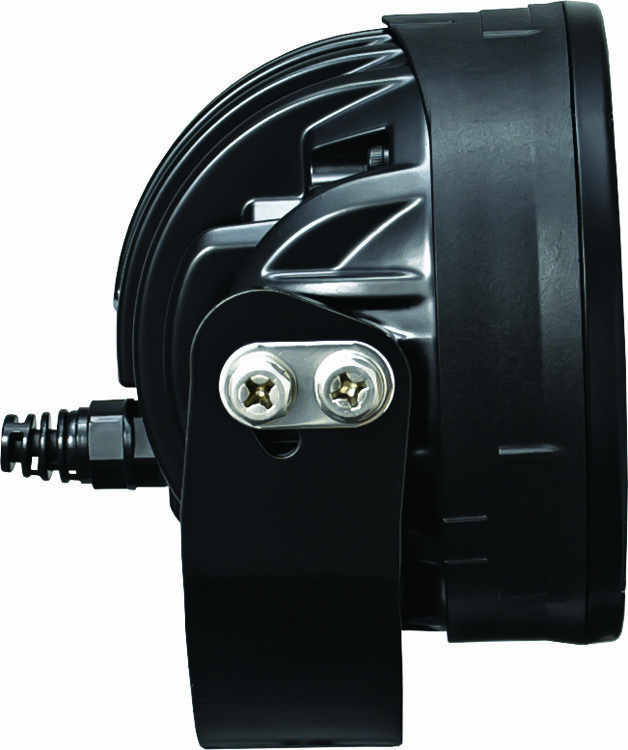 IP-68/69K watertight housing along with waterproof connectors gives you peace of mind when out in the rain or driving throw bodies of water. A steel trunnion mount allows you to make adjustments giving you a range up to 45° whcih then can be locked in so it stays the way you set it up. Installation: The kit comes with a dual wiring harness & 4-bolt steel trunnion brackets giving you options as well as making for an easy installation.